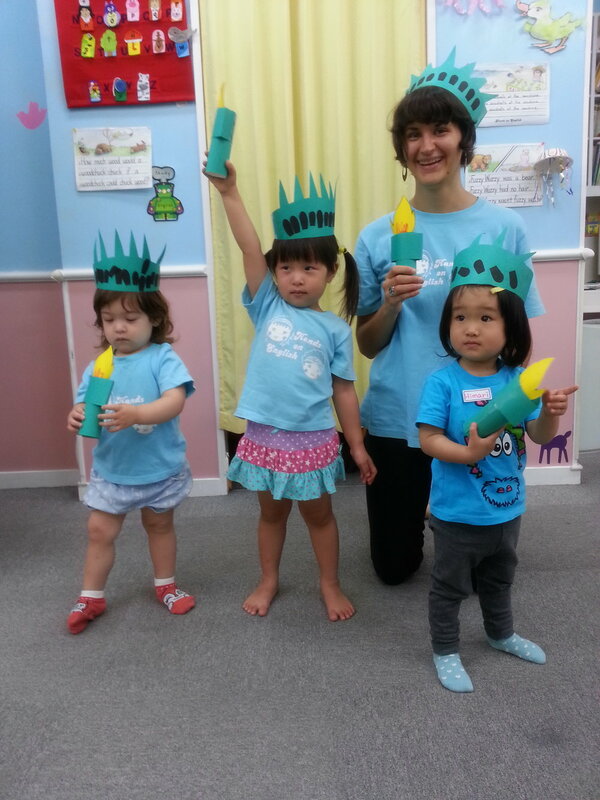 In our preschool class, all teachers are native English speakers. 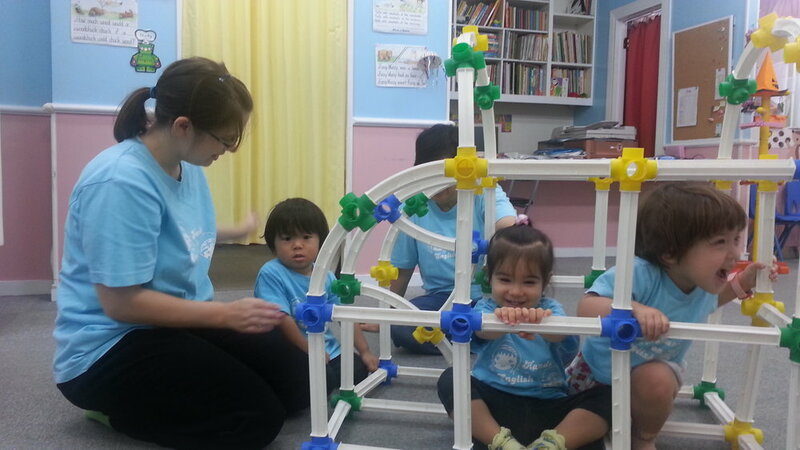 Our preschool class aims to introduce America-style early childhood education, by learning English through play. Through songs, movement activities, crafts, reading books, eating lunch together, and going out for a walk together, our children experience a full "English immersion" with their foreign teachers. Through lots of play time, children also naturally acquire English at a time when their body is suited to develop a second language. Through our monthly themes, children also experience and enjoy being exposed to different cultures. For us, nurturing and teach our young students is both an adventure and a joy. We play with our students, encourage them when they are uncertain, comfort them when they are sad, and laugh with them when they are happy. We build a warm relationship of trust with our students. As our children grow, they may not clearly remember what exactly happened or what they did, but the impression of playing, laughing, and learning will linger. Most importantly, they will carry they most important lessons we wish to impart; self-esteem, a belief in the joy of discovery, and an adventurous spirit to try new things. By learning English, children can make friends from all over the world. Our teachers will support our students as they start their journey into awareness of the wider world.